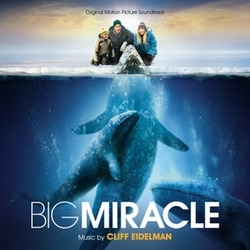 On Tuesday we saw a movie called Big Miracle in class. The movie was about three whales trapped in the ice in Alaska. The main point was how much people are able to do when they stand together and are supporting each other. It was interesting to see that even huge animals such as whales can get in trouble and be in need of our help. I wanted to find more about whales, so I browsed the internet for information. I like whales because they are enormous and make cute noises. * Whales range in size from the blue whale, the largest animal known to have ever existed at 30 m (98 ft) and 180 tones!!!! * For centuries, whales have been hunted for meat and as a source of raw materials. By the middle of the 20th century, industrial whaling had left many species seriously endangered, leading to the end of whaling in all but a few countries. * Whales breathe air, are warm-blooded, nurse their young with milk from mammary glands, and have body hair. * It is situated in the northwest extremity of the North American continent, with the international boundary with Canada to the east, the Arctic Ocean to the north, and the Pacific Ocean to the west and south, with Russia further west across the Bering Strait. 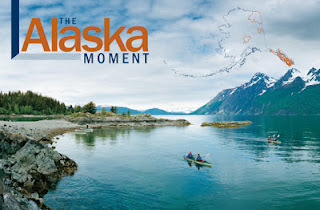 I hope you liked my facts about whales and Alaska and I appreciate if you would leave a comment! - Have you ever seen a whale before? I saw this movie and it was really great when the whales finally made it out of the ice that the Russian boats had to smash open to create the space for them to come through. They had to put aside there differences as a enemy and work together to save these wales. Interesting facts you chose to write about here! Hope you feel you know more about both Whales and Alaska than you did when you saw the movie. How about writing about the people as well? Blog, Do you like it, or not ?